Fine-tune your shot this offseason. This item is shipped directly from the factory. To see the expected shipping date, please add to your Shopping Cart. Sorry, no express shipping available. We are unable to ship factory direct items to Alaska, Hawaii, Puerto Rico or APO or FPO addresses. To add this item to your cart, please enter your zip code below so we can get you the best possible shipping rate. 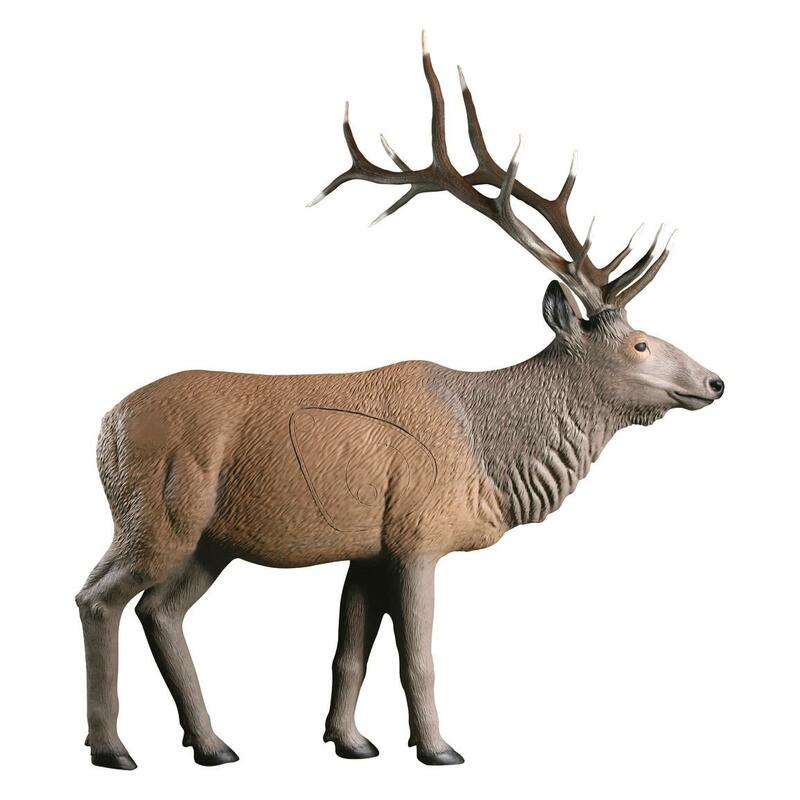 The Rinehart® Standing Elk Archery Target takes your archery skills to the next level with true-to-life practice. Durable Target is sculpted to simulate a 600-lb. bull elk and features a replaceable, self-healing foam insert. This target is cut for parcel shipping, some assembly will be required. A glue kit and instructions for reassembly are included. Please note this does not affect the quality or structure of the target. Note: This item is shipped by commercial carrier curbside. Unloading is the customer's responsibility, including off the back of the truck. This product ships in one box, measuring 88"l. x 48"w. x 40"h. and weighing approx. 140 lbs. No expedited delivery. High-value orders require a physical street address, otherwise insurance costs will be added to the shipping total.